The Karate Kid Part II (1986) – What's New on Netflix Canada Today! 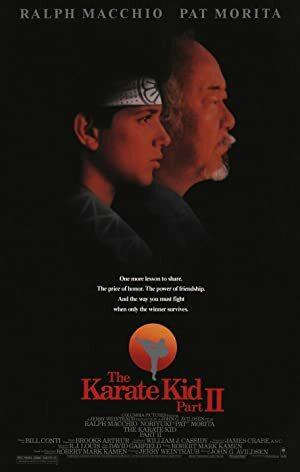 Karate champ Daniel LaRusso and Mr. Miyagi travel to Okinawa, where Miyagi visits his dying father and rekindles his feelings for a former flame. Picks up where the first movie (Karate Kid) leaves off. Mr. Miyagi and Daniel take a trip to Okinawa to visit Mr Miyagi’s dying father. After arriving Mr Miyagi finds he still has feelings for an old love. This stirs up trouble with an old rival that he originally left Okinawa to avoid. In the mean time Daniel encounters a new love and also makes some enemies.